2) For artists who do a basic wash on the canvas, Biobased Artist Thinner works great, and is not in the toxicity category of naptha. Here is the SDS: https://www.arttreehouse.com/store/sites/default/files/sds/SDS-Biobased-Artist-Thinner.pdf Biobased thinner is part of the new generation of post-petroleum substances that are safer and more environmentally friendly. "Biobased" refers to the use of crop materials rather than petroleum. 3) Oil of Spike Lavender is the ‘Rolls Royce’ of thinners. It works great with paint at all levels, and was the standard before the industrial revolution. While it is expensive, it is used by many artists who do glazing because it holds the paint together so well. It does, however, have a smell - somewhere between English Lavender and Cinnamon. 4) Traditionally, artists have used various tree resins for glazing. Resins such as Damar, Amber and Copal were dissolved in turpentine and used with paint to create uniformity and gloss. Sometimes, if the resin was too thick and the conditions right, the gloss could crack. Now, large commercial paint manufacturers use an alkyd resin instead of the traditional resins. Some artists still like the traditional resins, but try to avoid turpentine. In this case, Oil of Spike Lavender can be used to dissolve the resins. OMS will not dissolve the resins and is generally not recommended for use with them. 5) The resin of choice for many Art Treehouse customers is Canada Balsam. Canada Balsam is the sap from a Canadian Fir Tree (Christmas Tree), and does not need to be dissolved because it is already in thick liquid form. (Damar and Copal some as solid crystals). Canada Balsam has often been used to glue microscope slides together - it is very clear and holds up well. 7) I am planning to do a write up about thinners, that will compare them in terms of KB (dissolution) rating. Time is needed to do it. However, the interesting point is how well Oil of Spike Lavender and Biobased thinner do in comparison to Turps and OMS when it comes to dissolve-ability - matching and appropriateness. Really interesting - especially if you are doing glazing. OMS is the poorest of the lot - unless it is matched with petroleum-based alkyds. In other words, petroleum-based art materials are part of a uniform system. Traditional materials do not work so well with them. 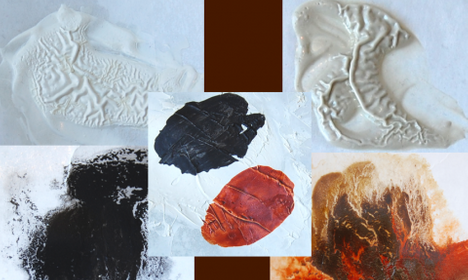 In summary, the artist use of materials for washes and glazes encompasses a wide range, as is appropriate for the creative work in the studio. In my case, I make use of all the materials mentioned above depending on the circumstances and needs. For example, I might start out with a wash using Biobased Artist Thinner, lay down some paint using Water-Washed Walnut Oil, and finish details with a glaze of Spike Lavender and/or Canada Balsam. The flexibility of the materials allows for a wider range of expression. I hope this is helpful! The web site has many photos of the materials I have mentioned.